Love Wine? Love Events Downtown? Studio 107 brings you exciting and exclusive wines from cellars around the world. Personalize your membership by choosing wines from three different categories, in red or white. Learn about each wine with tasting notes from the winery and enjoy them with our delicious small plates menu and food pairing suggestions. 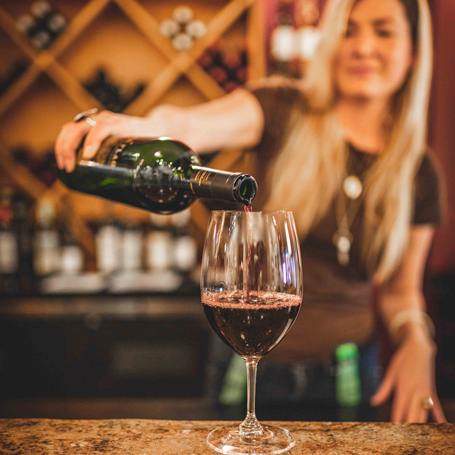 You’ll have access to exclusive Club 107 tastings and special events monthly with wine makers from amazing wineries and receive discounts on wine and jewelry at Studio 107; your downtown Coeur d’Alene wine bar and gallery. Studio 107 is more than a Coeur d’Alene wine bar. 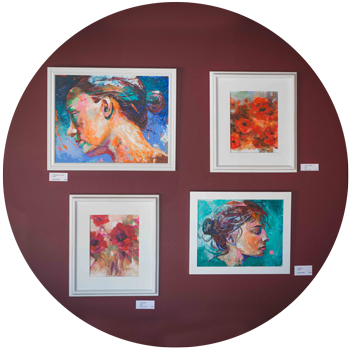 Indulge in fine art and glasswork as you sip your wines. 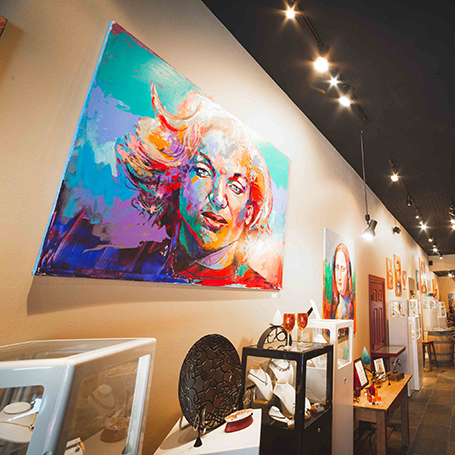 Featuring a rotating selection of curated art, you’re sure to be impressed every time you come in. Studio 107 takes pride in showcasing some of the finest local talent. Studio 107 features fine wines from all around the world. With ever-changing selection, you’re bound to find something you like. But, don’t worry, for your beer drinking friends, we have craft brews to enjoy. Our gourmet tapas menu will pair great with so many of our wine and beer selections. 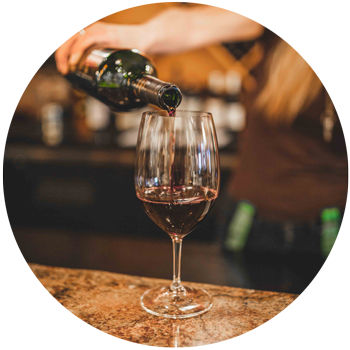 Come in and see for yourself at the best Coeur d’Alene wine bar. Beyond our unique selections of fine wines, art and glasswork, we offer beautiful jewelry and custom jewelry selections. 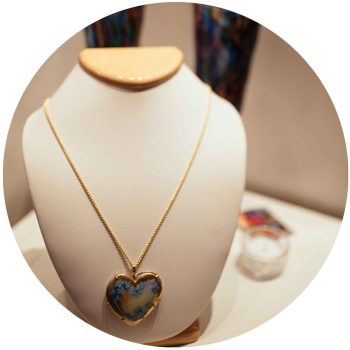 Try on a one-of-a-kind piece while enjoying a delicious glass or an artisan treat. We have a new selection of wines chosen each week for tasting by the flight or by the glass, as well as a unique collection of bottles from wineries around the world. For our beer-loving friends, we offer a terrific selection of beer in bottles and 6-packs. 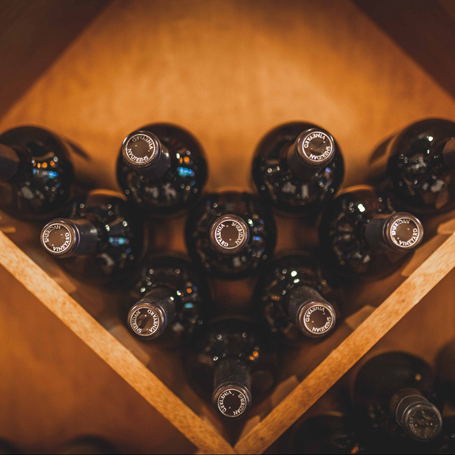 All our wines have been personally selected to give you something special to taste each time you visit, and we are always happy to help you select just the right bottle for any occasion. Looking for your favorite vintage? Just let us know, and we’ll make sure we have it for you. We offer discounts for case purchases! Hosting a party? Make Studio 107 your choice for your next special event or private party. All our wines have been personally selected to give your special someone to taste each time you visit, and we are always happy to help you select just the right bottle for any occasion. Looking for your favorite vintage? Just let us know, and we’ll make sure we have it for you. We offer discounts for case purchases!